Israeli media are on edge Monday over the Hamas rocket attack, which prompted Prime Minister Benjamin Netanyahu to cut short his visit to the United States to take control over the situation. Hamas denied responsibility for the attack, with an official saying the group had "no interest" in escalating the situation. However, the Israel Defence Forces announced Monday that they had begun striking Hamas targets throughout the Gaza Strip. In an analytical piece on the escalation, Jerusalem Post contributor Seth J. Frantzman emphasized that the ball was now in "Israel's court" as far as the management of the crisis goes, with regional powers, including Hamas supporters Turkey and Qatar, unlikely to desire a new conflict. Frantzman pointed out that even Iran, traditionally supportive of Hamas and its battles against Israel, has remained "mum on the current crisis," remaining "focused on a massive military operation to aid flood victims throughout the country." Tehran will be forced to 'carefully consider' the ramification of a new Gaza war, because "it knows that an Israeli adversary…is a more complex challenge" than the US in Iraq or Syria, where Iran could rely on the support of its allies, the journalist wrote. As for Saudi Arabia and the UAE, these powers fear a new Israeli-Palestinian conflict more than anything, "because they see Iran as the major threat to the region and would prefer Israel [to] keep its eyes on the Iranian threat as well," Frantzman concluded. YNetNews contributor Ron Ben-Yishai echoed Frantzman's sentiment, noting Israel has been left with "tough choices" regarding how to react to the rocket attack, but also took a more aggressive tone, saying that attempts to prevent violence sponsored by Egypt and Qatar seemed destined to fail because "Hamas is not interested in a fair deal." 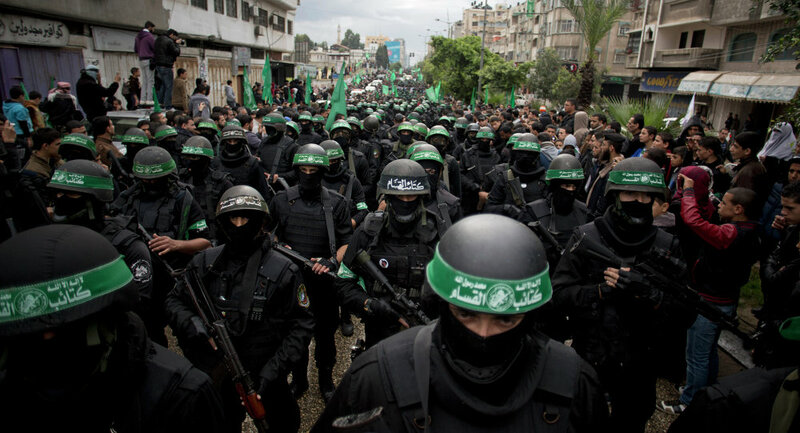 "Hamas –and Islamic Jihad with which it is coordinating – want to continue harassing Israel and disrupting Israeli life in order to differentiate themselves from the position taken by Palestinian President Mahmoud Abbas of 'popular resistance' and less violence," the journalist claimed. In this light, Ben-Yishai recommended Israel foregoing an immediate retaliation, noting that it would be "better to prepare for a major confrontation before carrying out any response," up to and including the mobilization of Army reservists, possibly after the April 9 elections, to enter Gaza proper and "paralyse the rocket fire and rocket workshops" and destroy the group's tunnel and bunker network. Israel should also prepare for possible riots and mas disturbances in the West Bank, the journalist suggested. Finally, in an op-ed for Israel Today, contributor Ryan Jones suggested that Israel's upcoming elections actually made a new Gaza war "more likely," given that Prime Minister Netanyahu has cultivated an image of "Mr. Security" for himself politically. According to Jones, "failing to respond with great force" would "hurt" Netanyahu at the polls. "Hitting back hard at Gaza just weeks away from the election could seriously improve his Likud's electoral prospects," especially since Netanyahu would undoubtedly "enjoy the enthusiastic support of US President Donald Trump," the journalist stressed. Jones warned that BiBi's political rivals from the Blue and White coalition were "playing right into his hands" but presenting Netanyahu as being 'weak on terror' following Monday's attack. "It's all coming together in a kind of perfect storm that can mean only one thing: war," the observer concluded. Israel has engaged militants in Gaza in major fighting on three separate occasions over the last decade, with the latest war fought between July and August 2014 and leading to the deaths of over 1,400 Gaza civilians, 700 Palestinian militia members, and 67 Israeli troops.